Rumours on the Internet suggest that the second-generation iPad mini will have a 7.9-inch display with a 2,048 x 1,536 pixel resolution, giving it a pixel density of 324ppi. It’s been three months since Apple introduced the iPad mini and rumour mills have already started churning out information as to what will be the features of the iPad mini 2. 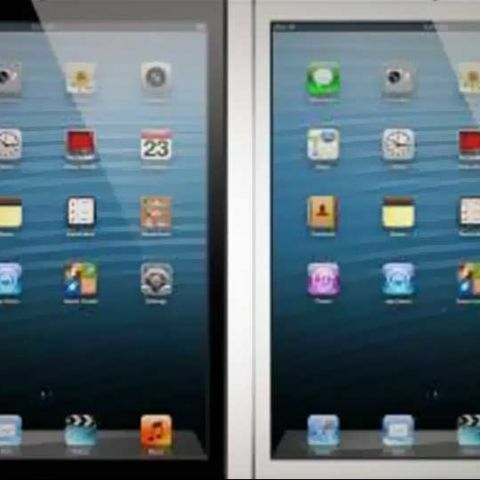 The new rumour suggests that the next generation iPad mini will have a Retina Display. It is expected to have a resolution of 2048x1536 pixels giving the 7.9-inch display a pixel density of 324 ppi. To start with, this resolution is double of what we have seen on the first gen iPad mini, which has a 1024x768 resolution giving it a pixel density of 162ppi. If the rumour turns into a reality, then the iPad mini 2 would have a really high pixel density when compared to other Apple products. The current generation 9.7-inch iPad has a display resolution of 2,048 x 1,536 giving it a pixel density of 264ppi. The iPhone 5’s 4-inch display has a resolution of 640x1136 pixels giving it a 326ppi. This isn’t the first time that we have heard rumours about the display resolution of the iPad mini 2 being bumped up and it also looks like a no-brainer move for Apple. In fact, we expected the first generation iPad mini to have a Retina Display. As far as details about the hardware are concerned, that is still a mystery.